The Rainmaker delves into rap as only an indian kid could. It’s difficult to talk about something being a debut album in a rap world with Mixtapes, EPs and singles being released any time with no sort of label work or anything to tell us simple rock music types what the deal is. A quick scan on wikipedia reveals this ‘debut’ album actually follows 3 ‘albums’, 2 mixtapes and 1 EP. What this debut really means is that this is his first album that he sat down and went through in a studio. And it really shows. This is by an absolute mile the most impressive rap album I have heard since I picked up Cee-Lo Green’s Perfect Imperfections on a whim in HMV. There is not a single bad or worthless song on this album, it just keeps getting bigger and better. Donald Glover aka Childish Gambino is one of the most obscenely talented people in the world. Not only is he a hilarious star of my favourite new comedy, Community, but he also made his name making hilarious sketch comedy videos as part of the group Derrick Comedy. Before this just seems like I’ve googled him, I found all of these things separately, before I’d even heard of Gambino, and on their own merit. I was alerted to his rap from a friend, found the TV show from online ‘buzz’ and the comedy from Cracked.com. All of which means that I have to know show you Donald in his early years in the funniest video I have ever seen. But enough of this… silliness. Back to the album. The first thing that hits you is the Kanye style beats. 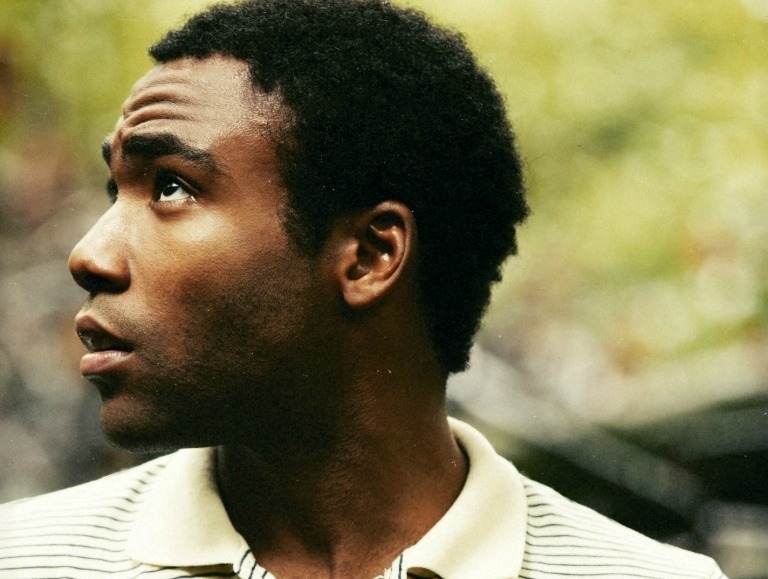 Glover/Gambino enlisted the help of the Community music director to make the album, and it is perfectly built. The first sound is a SBTRKT style choir voice as opening track Outside begins, but when the beat drops it’s just incredible. And it doesn’t let up. Tracks like Backpackers and Bonfire have a much more harsher gangsta sound than the orchestrated epics of Fire Fly and Sunrise. Part of the mastery of this sound is that each song carries a perfect pop chorus, most of them sung surprisingly well by Gambino himself, and always just the right kind of catchy. Yeah so, whatcha gonna do man? Gambino’s rhymes reference pop culture (my favourites being shout outs to Rugrats, Super Smash Bros. andLand Before Time) and delves deep into his childhood. 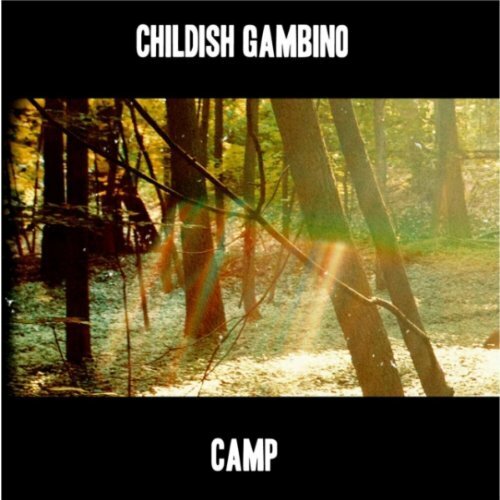 In fact his name ‘Childish’ and the ‘Camp’ title perfectly suit this album, as the major theme is childhood. Glover is perfectly in tune to life as a kid and he explores the things kids say and do is a surprisingly profound way, none more so than in the end of closing track That Power, where he recounts a story of a return trip to camp. We all look the same to the cops, ain’t that good enough? While I’m not going to pretend to be a black american kid, there is one particular bit that perfectly sums up what the issue with race actually is nowadays. Not only does he combine these fantastic lyrics with great beats but his flow is quality too. It’s not the kind of thing that is out to impress, but Gambino doesn’t need to, his lyrics are good enough. While I hope I’ve made it clear how much I love this album, there are some weaknesses. Glover relies on one-liners a lot, and while they are good they can get in the way of the general flow. Plus, sometimes his cartoonish aggression can come off a little overly ironic and end up having the reverse effect that they intended. But these are all minor gripes and only come up after the weeks worth of constant listening that I have subjected the album to. Ultimately this is an album with quality beats, some of the best lyrics you can hear and an unholy consistency that means the only option I have ever taken after reaching the end of the last track is to just press play and do it all again. I’ll leave you with my personal favourite track of his in which Gambino touches on the idea of ‘real’, but has a quality vibe that works perfectly being played by live instruments. All I can say is, listen to the album on spotify or something if you don’t wanna buy it. It’ll blow you away.